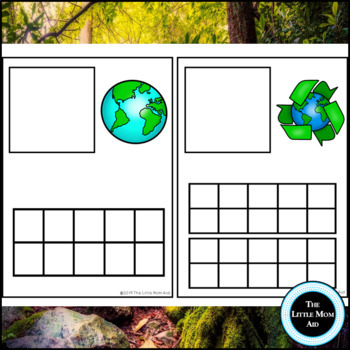 This Earth Day math activity is perfect for practicing one-to-one correspondence, number identification and using ten frames! 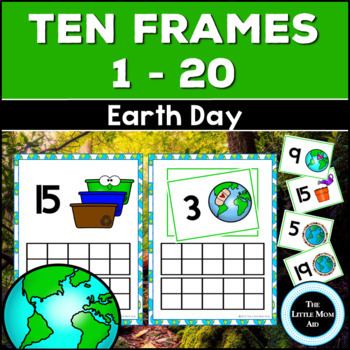 These Earth Day ten frames will make a great addition to math centers or can be used for independent work. 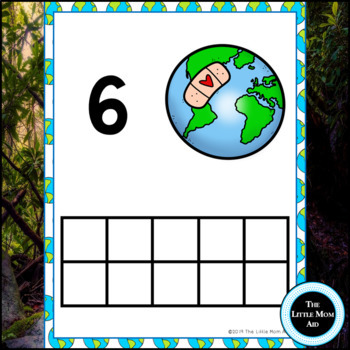 This ten frame pack comes with two templates: half page and full page. They also come in black and white, and in color. 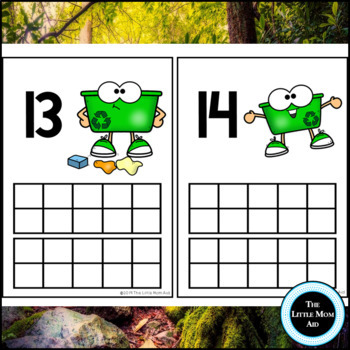 Each template has mats with a number from 1 to 20, as well as mats with blank space for number cards to be placed on it. Please take a look at the preview.